A lovely interpretation on this weeks challenge. Thanks for joining us this week at Winter Wonderland, hope you will join us next week also. this is great. if only I was this organised to start my christmas cards. 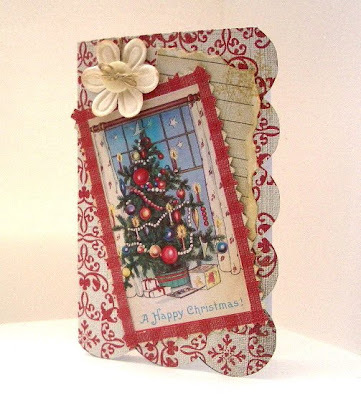 This is fabulous Vicky - love the shaped of the card and the gorgeous image and papers. I love your Victorian Christmas card it is rather special.